Oh Joy! 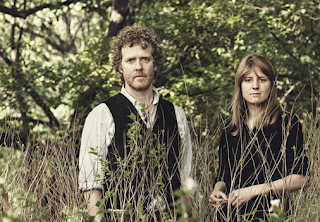 Glen Hansard and Marketa Irglova also known The Swell Season have a new album coming out on October 27 titled "Strict Joy". You can get a sneak peak of their new album at NPR's Tiny Desk Concert with The Swell Season- they are so cute together! If you haven't already fallen in love with this talented couple behind the indie film Once, then you must go out and see it. "Once": If you have not seen it, go to a place where movies are sold or rented and buy it. Or rent it. yesss. this gives me hope that i will make it through september and most of october. they are quite the duet.